Three mornings a week this summer I’ve trekked up the concrete stairs of the FIVE building just off of SUNY Broome’s campus and stepped inside the sleek glass doors of The Agency Broome County IDA/LDC. Once inside I am welcomed by Carrie Hornbeck, Administrative Assistant, with a smile and friendly conversation. I then say hello to Stacey Duncan, Deputy Director of Community and Economic Development, and Natalie Abbadessa, Business Development Coordinator, and make my way to a corner office. Finally, I begin to write. The Broome Talent Task Force Interview Series is an array of stories on the established members of the Task Force, a partnership created by The Agency between representatives of industry, education, economic development, and nonprofits working together to develop a crucial plan to address both critical and future workforce issues. My job was to interview several of the members on the Task Force, and to construct pieces describing their role in the collaboration so the goals of the committee were comprehensible to the public. Fellow intern Jake Kleiger and I met with professionals on the Task Force in different industries such as the Health Sciences (Michael Keenan), Education (Jan Hertzog), Engineering and Design (Anthony Panicca), as well as many other individuals in various fields. Through conversations with these people, I’ve learned more than I thought possible about the challenges and opportunities present in Broome County, and the great lengths that these professionals go to fix and embrace them. Each interview was unique, however a common theme among them was the welcoming presence from the Task Force members. They cared about what I, as a young adult, thought about Broome County, where I fit into our community, and what role I could fulfill in our area’s future. 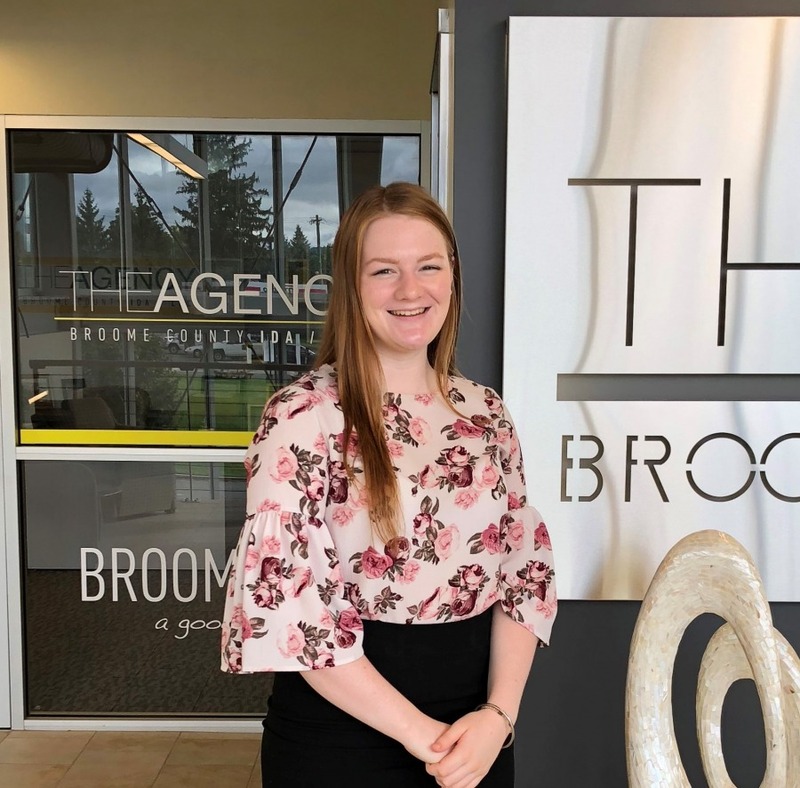 As a marketing/communications intern of The Agency I had the privilege to sit in on meetings and learn about what goes on in Broome County from a professional’s perspective. It was an exciting experience to not only watch people collaborate on business ideas that I would later see played out in the county, but also be able to give insight into my perspective on things like ad campaigns that I hope to see around the area in the approaching months. I am so grateful for the first-hand experience this internship has given me in the areas of marketing, communications, and writing as I head toward my senior year at Chenango Forks High School with big decisions on my plate. Thank you to The Agency, and especially Stacey and Natalie for taking me in and teaching me about the intricacies of this field and our area.